Check-in counters V & W (used by AirAsia) in klia2 were closed between 7th Jan – 11th Feb 2018 to facilitate Malaysia Airport’’s installation of Self Bag Drop machines. 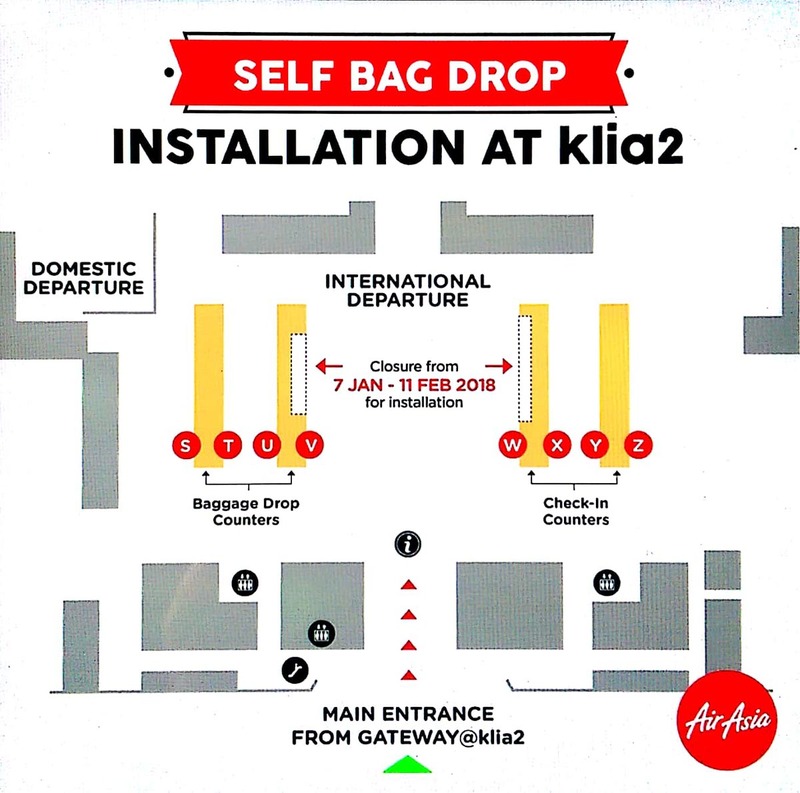 UPDATE March 2018: Testing of the Self–Bag Drop (SBD) facilities is now complete. The machines arenow in use, beginning 15th March 2018. This handy AirAsia video will help you understand how they work. Make sure you have checked your baggage weight, to ensure it matches what you have purchased. If you have check-in bags, arrive at the airport at least 3 hours prior to departure for AirAsia flights. 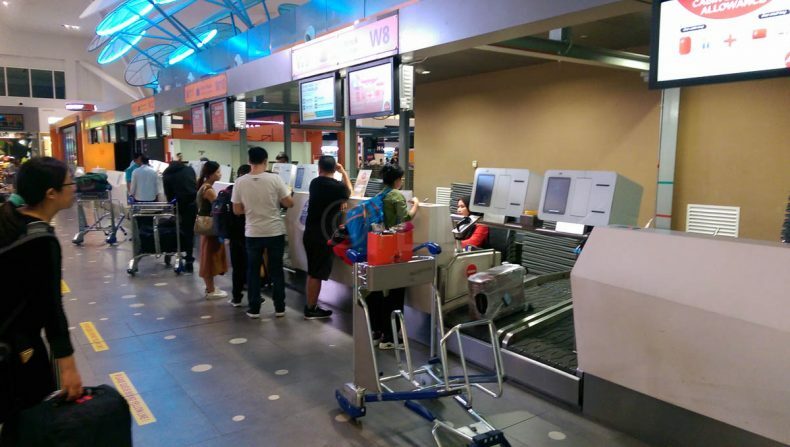 If you’re flying AirAsia X allow 4 hours as longer queues are expected due to the counters closure. As the facilities are new, allow yourself sufficient time to complete the process. Proceed to the Security checks early as some gates are a long way from the entrance. There’s plenty to keep you busy inside. For more information, check with AirAsia.com. Self tag and drop your bags at Rows V & W.